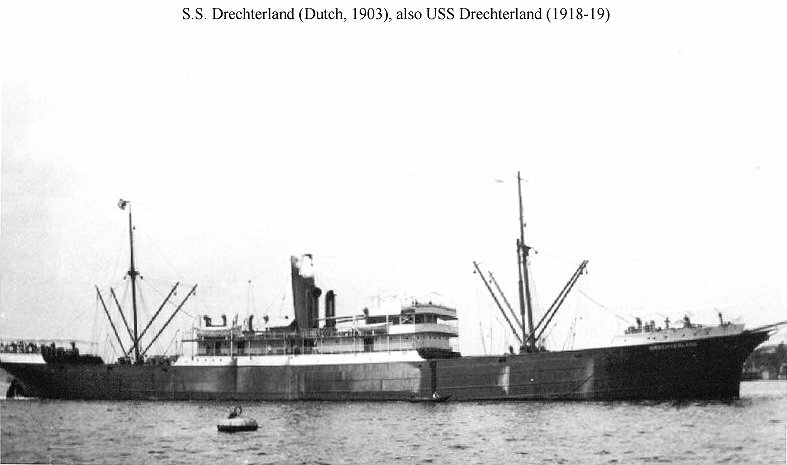 Dictionary of American Naval Fighting Ships: Drechterland (No. 2793), a cargo ship, was built in 1903 by Sir J. Laing & Sons, Ltd., Deptford Yards, Sunderland, England, for the Dutch firm of Konink I. Hollandsche Lloyd. She was interned at Galveston, Tex. 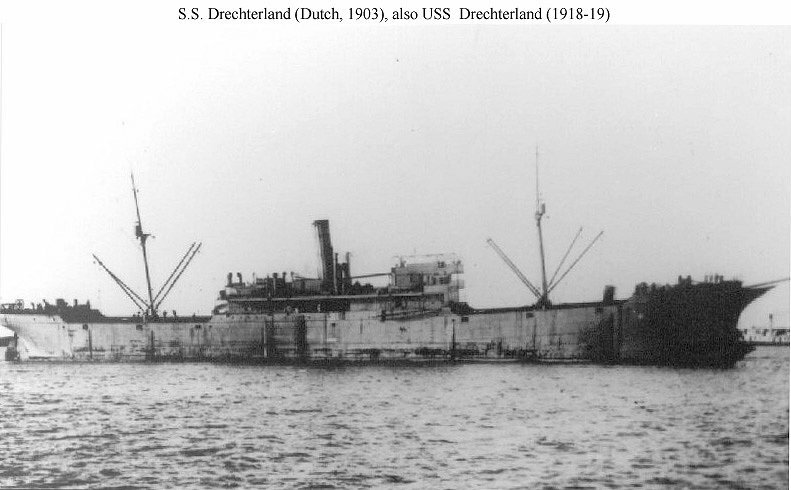 by Presidential order after the United States entered World War I, transferred to the Navy from the Shipping Board 20 March 1918 outfitted at Newport News Shipbuilding and Dry Dock Co., Newport News, VA.; and commissioned 29 March 1918, Lieutenant Commander R. [Raymond] C. Vose, USNRF, in command. 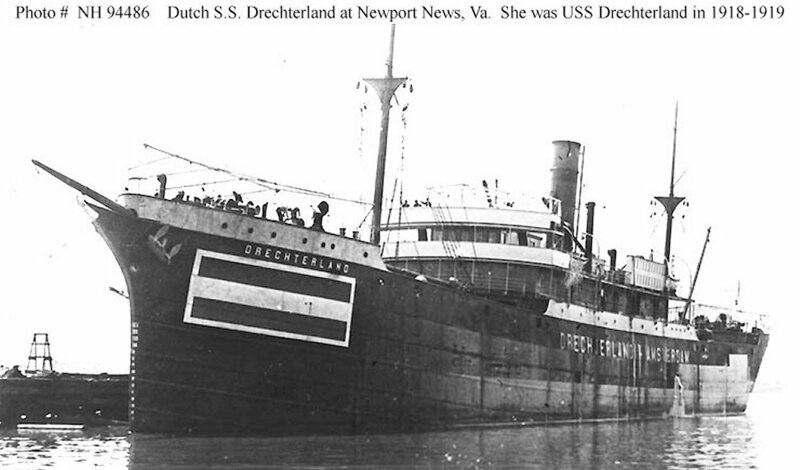 Serving with the Naval Overseas Transportation Service, Drechterland made five voyages carrying Army supplies from east coast ports to Europe between 23 May 1918 and her arrival at Rotterdam, Holland, 6 July 1919. There she was demobilized and her Navy crew removed. She was decommissioned at Amsterdam 12 July 1919 and returned to her owners the same day.